Enter through covered front porch into this beautifully maintained, freshly painted home with 3 car garage and fenced yard . Fifth full bedroom and bath on main floor perfect for guest or inlaw suite. Kitchen has stainless , granite, tons of cabinet/ counter space and is open to the family room. The family room has gas fireplace and wide plank laminate wood floor. 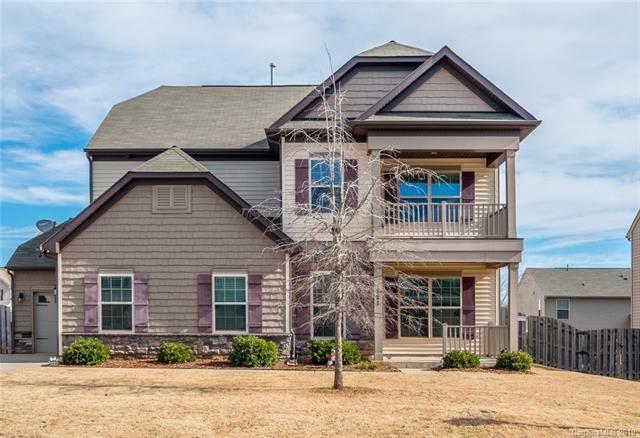 Second floor has loft w walk out covered porch, 3 bedrooms and 2 fulls baths. Third floor has full bath and bedroom. Master bedroom with tray ceiling, large walk in closet. Master bath w garden tub separate shower. Offered by N2it Realty. Copyright 2019 Carolina Multiple Listing Services. All rights reserved.